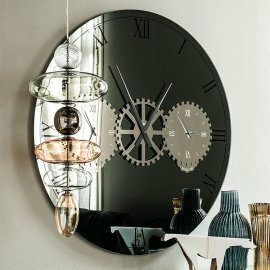 Is it a mirror or is it a clock? 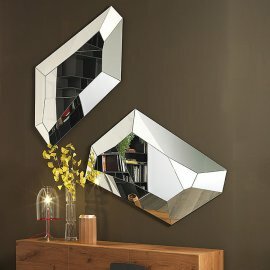 That’s what Cattelan mirrors are all about—dual functionality. 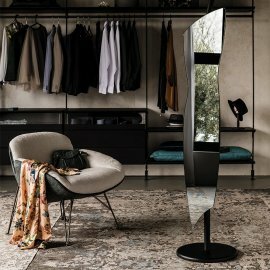 Cattelan Italia, which manufactured its first furniture in 1979, is great at making unique furniture and integrating other functions in its primary role. 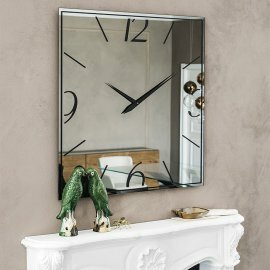 The Italian brand’s lineup of stunning mirrors include one that has a clock in it in mirrored or smoke gray glass with steel details. 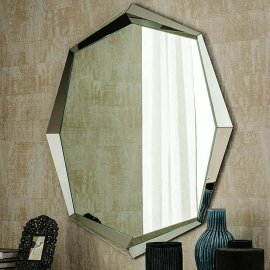 Another mirror design has a clothes hanger function with a frame in Canaletto walnut. 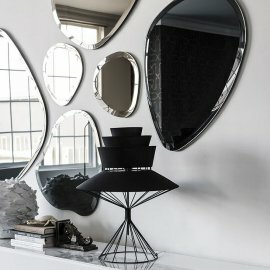 For some designs that are solely mirrors, they can be hung in a variety of ways, according to how they would best fit with your interiors.